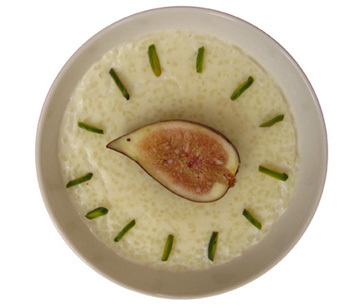 Shir-berenj is the Persian incarnation of rice pudding, that universal comfort food. 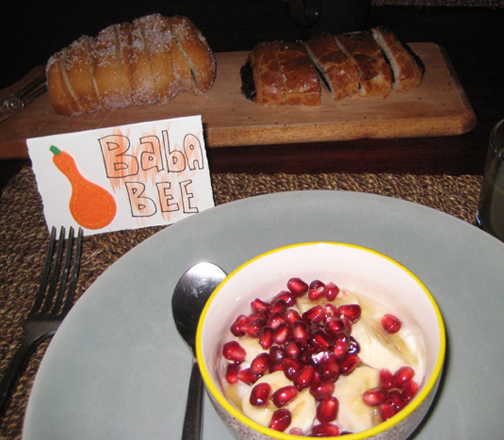 If food were people, shir berenj would surely be a pilgrim, (desiring to be) pure and virtuous. 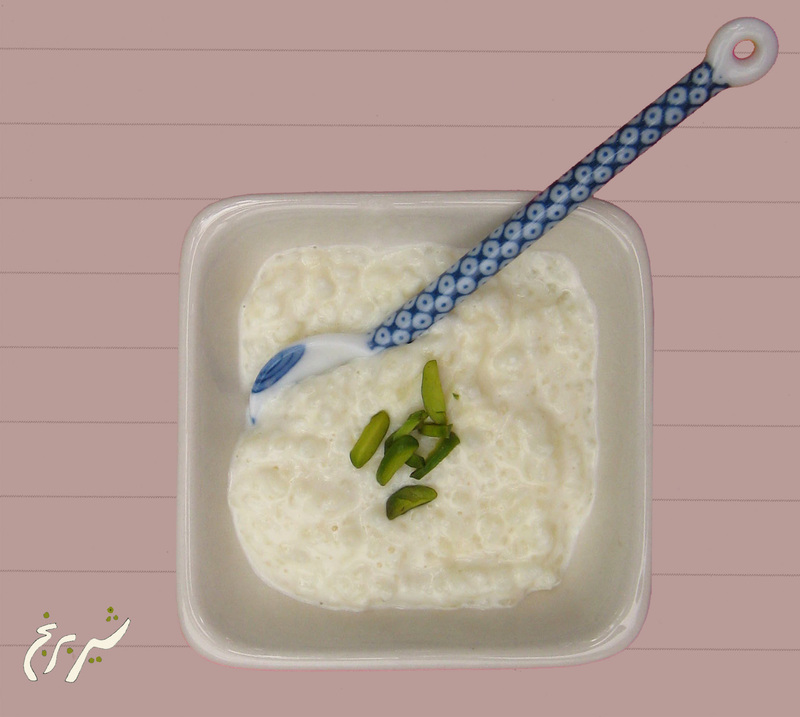 Milk, water, rice and cardamom are its indispensable ingredients, and depending on the cook, optional ingredients can include: sugar, rosewater, cream or half and half. 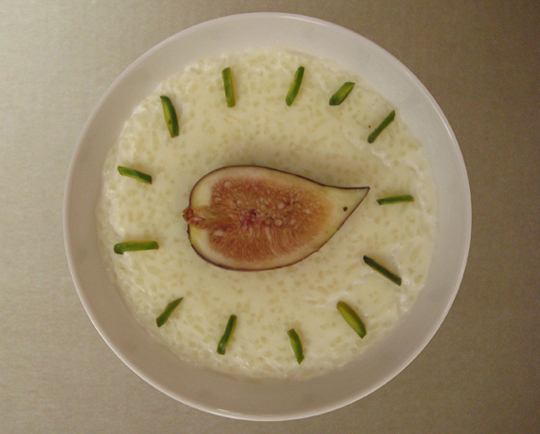 Here at Fig & Quince we prefer a light, subtly-flavored (borderline plain and thus truly virtuous) shir berenj that can then be amped up to one’s specific liking (with sweet and/or crunchy stuff) over one that is flagrantly flavored. 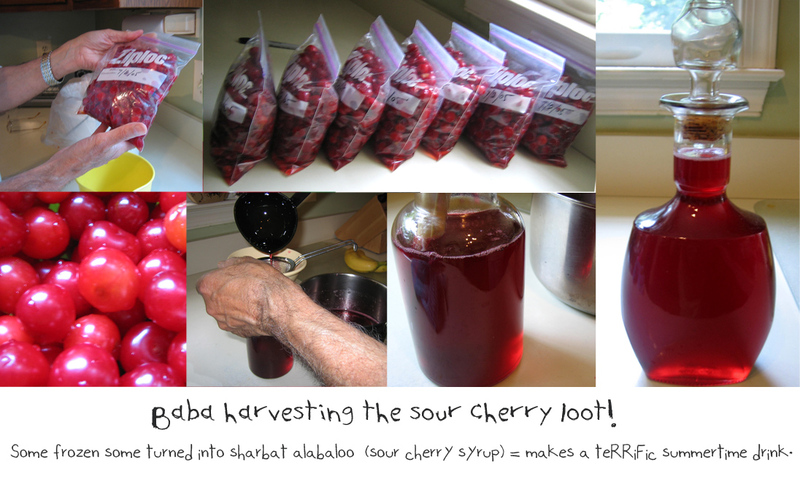 So we opted for a simple recipe (courtesy of a relative) with only the essential ingredients. Meanwhile, the recent heat wave inspired us to detour from the traditional route and to experiment with making shir berenj popsicles. 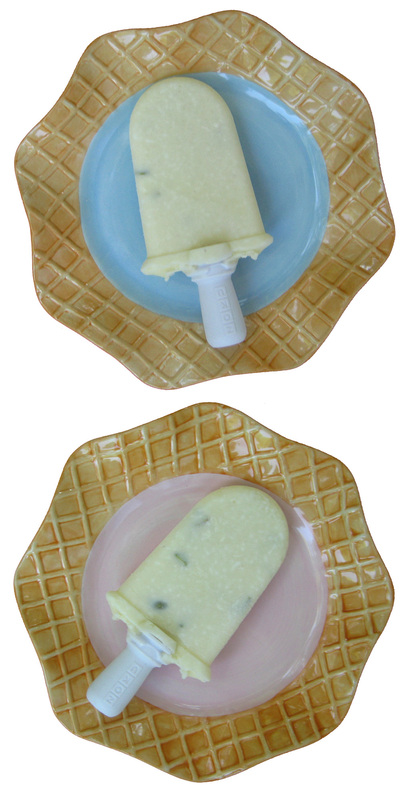 And you know what: the popsicles were fine and fun but unless you are so inclined, we won’t insist that you make some. Until next time: Be well all, and Happy Independence Day, America! #IranDEAL #HAPPY! | Let’s Have Some Shirini Please! In Iran, it’s customary to celebrate one’s good news with “shirini dadan” (offering sweets and pastries) to pleasure and delight the sense and palette of others in recognition of one’s own sweet turn of events. And in turn, friends and family present the person with the happy news some flowers by way of congratulations. And of course as I’ve mentioned, people snap their fingers and “beshkan mizanand” ha ha, just like George Clooney, when feeling particularly exuberant and filled with joy! So let’s put on a cheerful Persian song, shake our groove thing, and let’s snap our fingers. And oh, here, I have some sweets and flowers for us all as well. Dahanemoon ro shirin konim! But first I want to address the naysayers; hatemongers; warmongers; always-complainers; those who only see the clouds and never the silver lining; those who never notice the rainbow but only the downfall of the rain; and say: Here … Here are some flowers, and please also have some shirini and sweeten your palette! Because this.THIS. Is a buzz you can’t kill. Because this is a way towards peace and better understanding and cultural exchange and because “hope is a thing with feathers” and it’s a beautiful thing when it takes wing. And that’s the way the cookie crumbles for yours truly. #IranDeal #HAPPY! Now let’s all go and have lots of yummy Persian shirini! My friends, here’s to realizing dreams for peace, love and harmony. 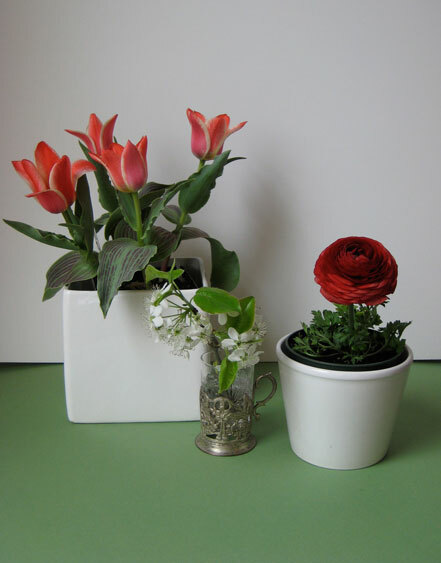 Digcheh: A little pot with LOTS of flair! 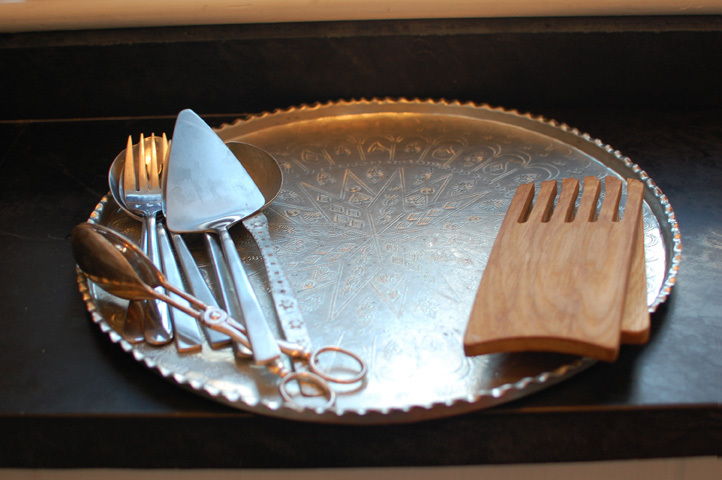 The aforementioned object was shaped like a loaf cake, garnished with slivered almonds and pistachios and a few dried rosebuds, and it was served by cutting it into slices like a cake. It felt soft yet densely firm to the fork and to the palette, and tasted at once soothingly bland and yet also boldly fragrant and it was just the right amount of sweet. A great symphony of subdued pizzazze! What was this manna from the heaven? Recently, the wonderful editors of Mashallah News — an online publication devoted to shaking up Middle Eastern stereotypes — asked me to contribute to their “food” theme series. I was only too glad to do so, and a nostalgia-filled rhapsody of the poetics of Persian food was thus born! I would be delighted if you would read it, so, begging your kind indulgence, it follows in its entirety below. Eyes are the windows to the soul, per an old English proverb. 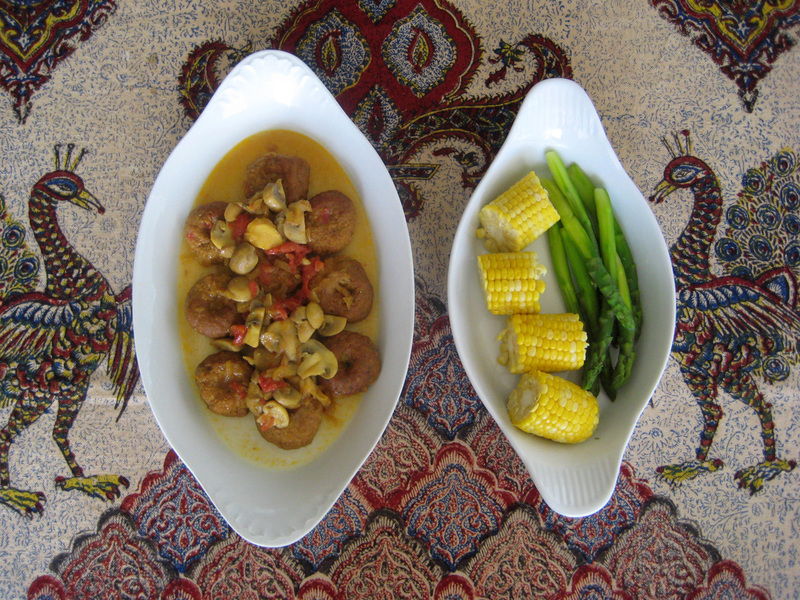 In a similar vein, it can be proposed that a nation’s cuisine is the window to the heart and soul of its countrymen. Praise be, then, for much like its people, Iranian food is sensual and oft poetic. That Iranians are sensual and romantic at heart may seem a preposterously incongruous claim at odds with the image of the country, mired as it is in polemics and controversy, but only if one overlooks the fact that the ancient and majestic tree of Iranian culture is branched out of thousands of years old roots that bear solid testament to a heritage of lyrical and aesthetic nourishment, accomplishment and sensibility. A sensibility reflected in everything from a proclivity to the arranging of beautiful, elaborate and symbolic celebratory tableaux vivants for weddings, Norooz (New Year) and the fete of Yalda (winter solstice); to an inordinate fondness for gardens and fountains and flowers and nightingales; to a talent for creating delicately charming ornate design in painting, carpets, textiles and architecture; to a coquettish flair for flirting; and to an unabashed affinity for and partiality to poetry. In some cultures a love of poetry is the true sign of the dork, the nerd, the socially clueless and inept. But in Iran, appreciation of poetry—far from branding one as “uncool” and banishing one to social Siberia—is not only accepted but is even taken for granted and reciprocated amongst people of all ages and walks of life. It is not unusual to find groups of friends or family sitting around eating, drinking and making merry while chewing the fat or playing backgammon all while trading lines and verses of the poems of Hafiz and Sa’adi and Khayam and Rumi and Ferdowsi as the muse inspires and circumstances dictate. 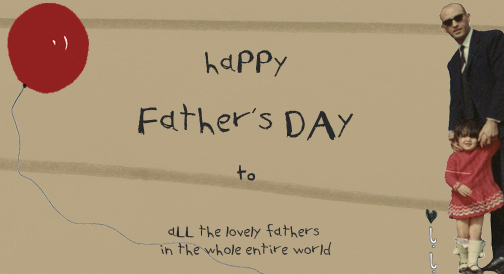 A cantankerous shopkeeper may quote a poem to site his ire; a grandparent may well call on one of the epic poets to drive home a moral lesson to a grandchild. After all, poetry is what saved the Persian language—the epic poem of Shahnameh, to be precise, is credited with this historical accomplishment—and that may explain why a love of poetry flows in the veins of most warm-blooded Iranians, whatever their walk of life, instead of being the rarefied passion of elite intellectuals and cultured intelligentsia as it is in most other places in the world. People unfamiliar with Iranian food often assume it is hot and spicy, much like its politics or its perceived climate, but it is not. 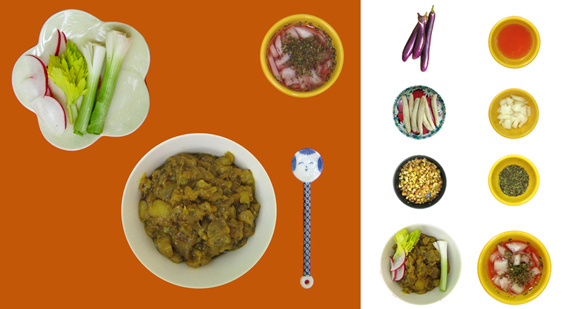 Iranian food—fragrant and pretty with its signature playful combination of sweet and tart and savoury—is downright poetic at heart. After all, how many cuisines count rosewater, cardamom, pistachios, rose petals, dried mint and saffron as staple pantry provisions? 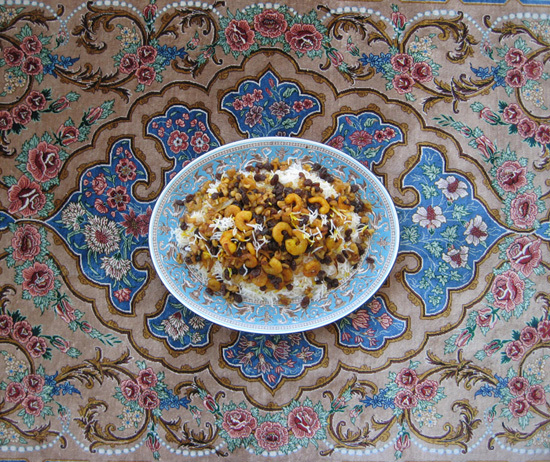 How many have a dish called jewelled rice, so named because barberries, pistachio slivers, and candied orange peels peek out of a nestling pillow of aromatic saffron rice gleaming, much like the gems one would expect to find spilling out of a treasure chest if one perchance happened to abracadabra open the door of Ali Baba’s fabled cave? How many cuisines have since the ancient times revelled in the glory of the pomegranate, a fruit that is a testament to a divine design, bearing a crown with a charming disarray of tendrils and jewel-like seeds. Pomegranate is a mainstay symbol of the Yalda celebration spread, in which a bowl of its seeded ruby arils, sprinkled with a touch of ground angelica or salt, forms a refreshment to offer guests, or else its nectar turned into a paste brooding with ground walnuts to make the chocolate-coloured stew of Fessenjan, which some call the khoresh of kings? 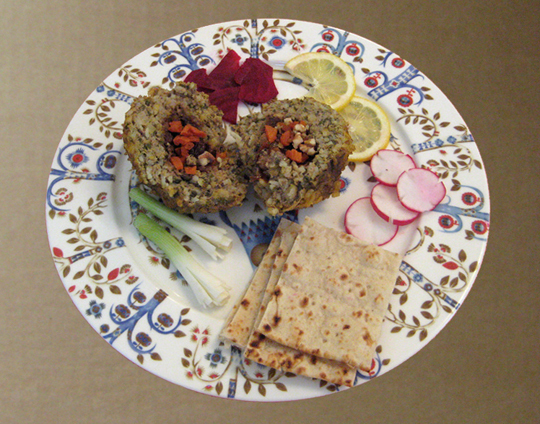 And, probably more than any other cuisine in the world, Persian food harvests flowers! Countless bushels of Mohamadi roses are every year distilled into aromatic rosewater; red and pink rose petals are dried so that they can be crushed and used as a pretty and aromatic sprinkled garnish for food. Vast fields of purple crocus are harvested for the long, fragile, burnt amber threads of saffron that turn an effervescently sunny golden shade when ground and touched by hot water, a drop of it turning a bed of steamed rice into a pretty sunset. A bevy of fragrant herbs and blossoms are distilled to make aragh—a refreshing and medicinal beverage—with mint, chicory, musk willow, sweet briar, palm pods, citrons and orange blossom. So many flowers, the very names of which are not merely mellifluous but also summon up an instantaneous sense of delight and pleasure. Sometimes, the seductive charm of Iranian food is overt but guileless, like a yogurt and cucumber soup, garnished with inter-crossing paths of crushed rose petals and dried mint; or overt and artful like a dark amber halva infused with saffron, rosewater and cardamom, sprinkled with pistachio powder in a curlicue design. Sometimes, it is covert, like a Salad Shirazi, a salad that is beautiful because it is stunning and is stunning because it is the epitome of simplicity—an edible haiku—nothing more than a choir of cucumbers and tomatoes and onions, singing with lemon juice and olive oil and crushed dried mint. And sometimes, the disarming charm of Iranian food is downright lyrical, because if fluffy and fragrant saffron rice made moist with a stream of succulently savoury khoresh is not transcendental lyricism in a spoon—then, pray tell, what is? The other week I made a breakfast smoothie and a visiting friend suggested posting its recipe on Fig & Quince. “But it isn’t Persian food,” I protested. “Just add some saffron to it and call it Persian!” she quipped, which made us all laugh. “Saffron and cardamom,” I hastened to add. 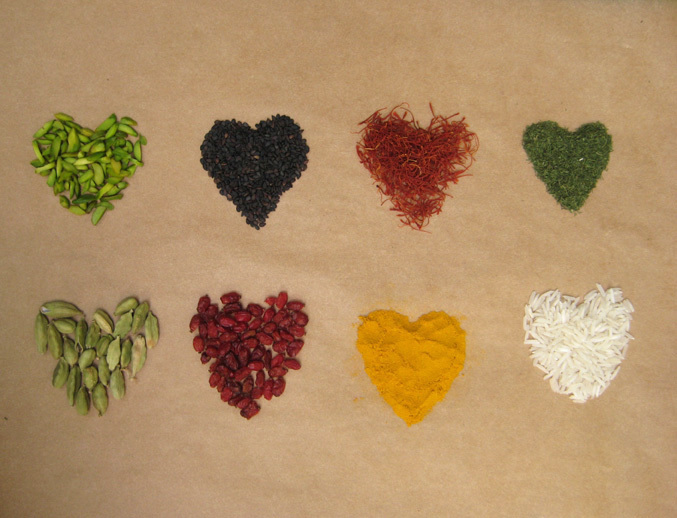 After all, while saffron (gorgeous, glorious saffron) is the quintessential Persian spice, cardamom (under-the-radar and a bit of an unsung hero) is nearly as pivotal a spice in Persian cuisine. 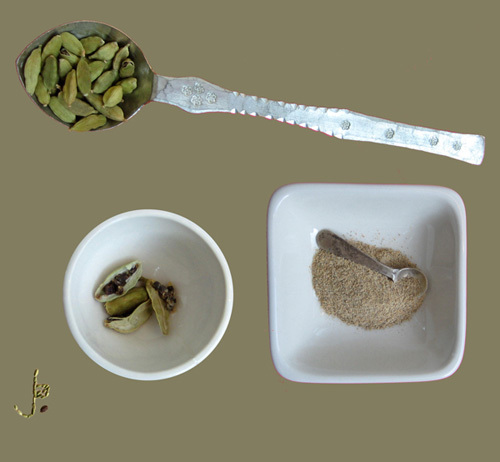 Cardamom, called “hel” in Farsi (pronounced as if you’re going to say “Helen”) comes in small aromatic pods (white or green or black) containing tiny black seeds. The aroma of cardamom is hard to describe, but it is nice and penetrating: a mixture of clove, vanilla, and some other undefinable smell that is … just cardamom. If you don’t have any cardamom in your pantry do go ahead and stock up on some (best stored in pod-form because seeds and ground cardamom quickly lose their flavor) as here at Fig & Quince we’re gearing up to have a few cardamom-centric recipes coming your way pretty soon. 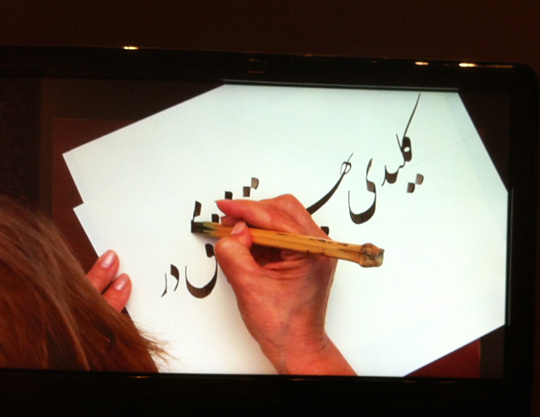 My Story in Iran told in Pix | An Ice Breaker! Hi y’all! Remember me? Of course not. I’ve been remiss and deserve not to have been missed. Yadi. Yada. To break this dry spell I’m just going to share the photos that I have in the very first 3 rows of my photo library on my phone – without exercising judgement or discretion but hopefully not without some taste – and tell you the tale of each image. By the way, yeah, I’m still in Iran and while we can never know the future I do plan to be here for the foreseeable part of it. Now let’s cut to the chase and check out the photos, starting with the very appetizing good-looking box of Persian pastries above which if you ever visit Iran and go to any city, big or small, you will see that every neighborhood boasts of at the very least a couple of pastry shops. The prevalence of pastry shops can be accounted for on one hand because Iranians have a sweet tooth and like to have a good time and indulge in sweet treats with tea, and for another, part of the Iranian culture and etiquette frowns on arriving empty handed and dictates showing up at the doorsteps of a host with a gift, often as not with a kilogram of these goodies. Oh goody! In this last installment of docu posts about my super sweet Trip to Kermanshah, I really wanted to give you a mouthwatering, lusty tour of all the yummy food I ate during this visit. Everything from the Kermanshahi classic stew of khalal ghaimeh va zereshk (almond & barberry with cubed meat stew) to the spectacular Persian rib kabab (dandeh kabab) we devoured after touring tagh bostan, to gojeh sabz (unripe green plums) to all the toothsome shirini Kermanshahi (boxes and boxes) I got to take and I had to savor. However, somehow or other, I managed to either neglect to take photos or when I did, I took mostly blurry or poorly lit or horribly composed photos. You won’t need to scold me as I’ve already had a stern, scalding talk with myself (“one more mess up like this, buster, and you will be turning in your food blogger badge, doing a 100 push ups, making 100 servings of piyaz dagh without a break, and ruing the day you started a food blog.”) I promise, I shall know better from now on. This terrible mistake will not happen again. 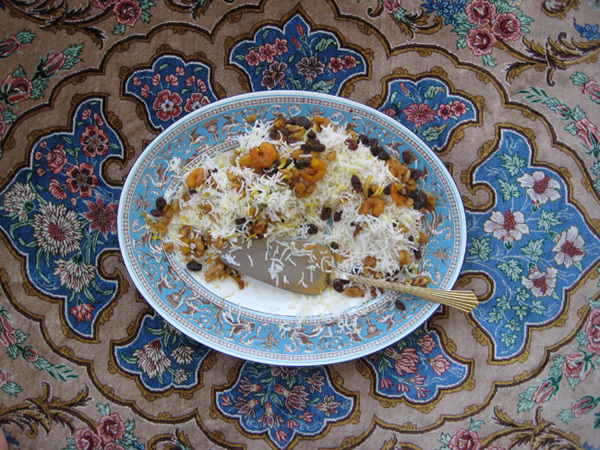 In any event, let’s commence our lusty oftentimes blurry foodie tour of Kermanshah shall we? Rolah jan, berim روله جان بریم as one might say in = the Kermanshah dialect! Well to begin with, consider the cover photo of the Persian fruit roll up. 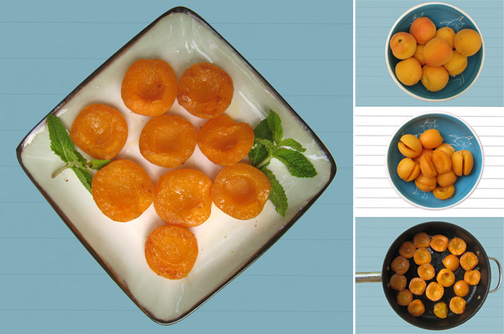 These are called “lavashak” and they come in a variety of colors and flavors, depending on what type of fruit or mixtures of fruits has been used in its creation. Super popular as a snack, specially with kids, lavashak is sold in supermarkets and bazaars and delis all over Iran, but of course, some households make their own. One of those households being that of my cousin Roshanak, who is in the practice of making lavashak with all kinds of fruit from apricots to black plums to red mulberries, such as the one pictured above. It was so good! Akh! Ooof! My mouth is watering thinking about it. Let’s move on before I drown in a pool of drool! 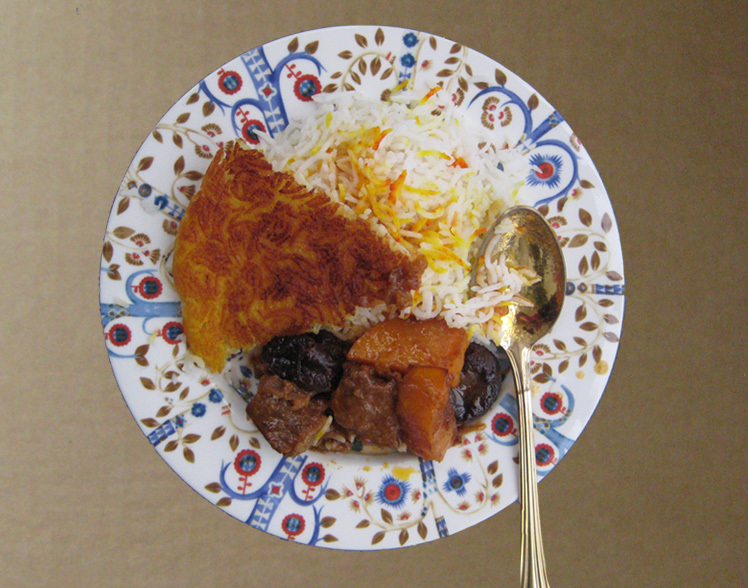 Click Here to ogle some yummy Persian food! Hi everyone! Before delving into our recipe post, I have to share the news that I cooked fesenjan for The New York Times as featured in this Sunday’s New York Times Magazine cover story of “Diverse Holiday Feasts From Five New York Families.” It was a fun and exciting adventure and I’m going to write all about it in a future post. Meanwhile, to new readers finding your way from that article: Welcome! 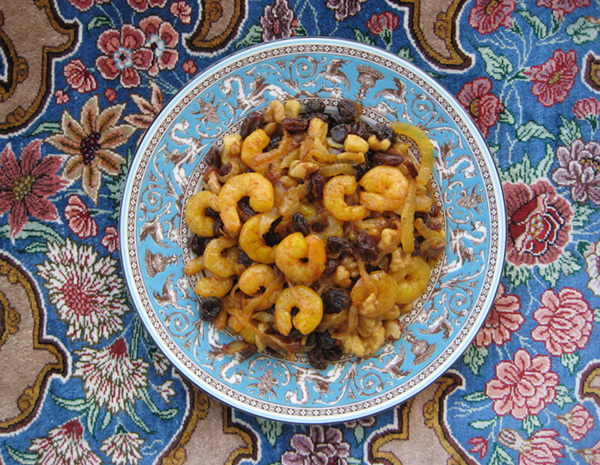 Meigoo polo (shrimp rice) — a unique Persian rice dish made with shrimp, raisins, walnuts and caramelized onions — is a delicious example showcasing the fond emphasize on seafood in the culinary traditions of the southern provinces of Iran. My parents first had meigoo polo at the home of my aunt – a vivacious Kermanshahi beauty who married a doting Shirazi gentleman, moved to Shiraz, and seamlessly adopted the accent and all the ways & wiles of that fabled region to praised perfection. My mom got the recipe from my aunt and this unusual and unusually tasty mixed rice thereafter became a standard albeit special treat at our family dinner table. 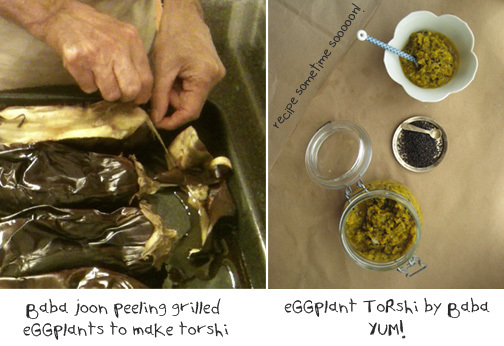 Now let’s not spend senseless time chit chatting when we could be making and digging into this tasty dish instead! What is kangar (cardoon)? Picture a celery with attitude and thorns! The Heatcliff of edible vegetables! Kangar is not found in the U.S., so I’ve certainly not had any, but, it appears that I’ve most certainly put down a langar here in the DC area while visiting my folks. Click here to continue to read this fascinating saga!